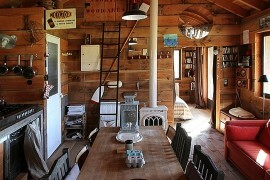 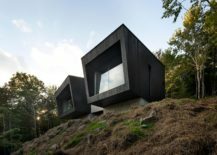 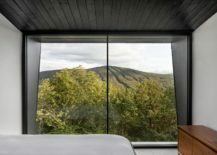 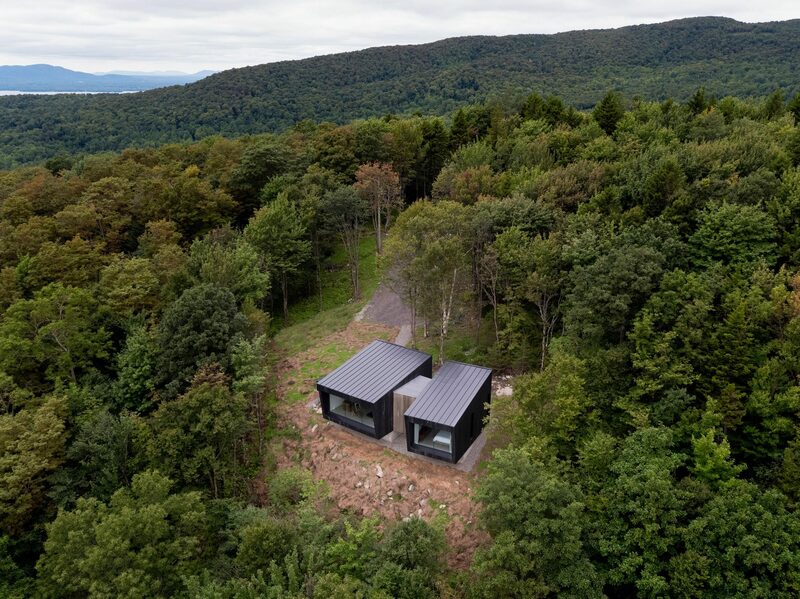 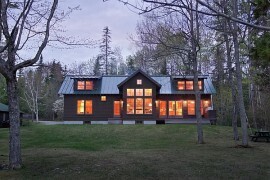 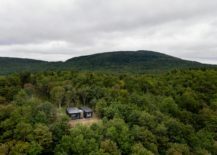 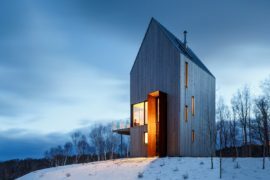 It is hard to find a cabin in the mountains that is as spectacular and yet so unassuming as this exquisite cabin in the wilderness of Eastern Townships in Canada. 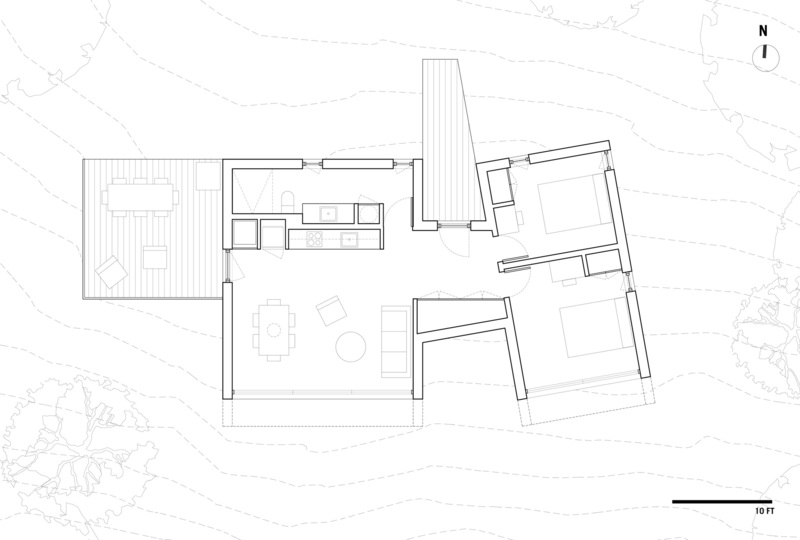 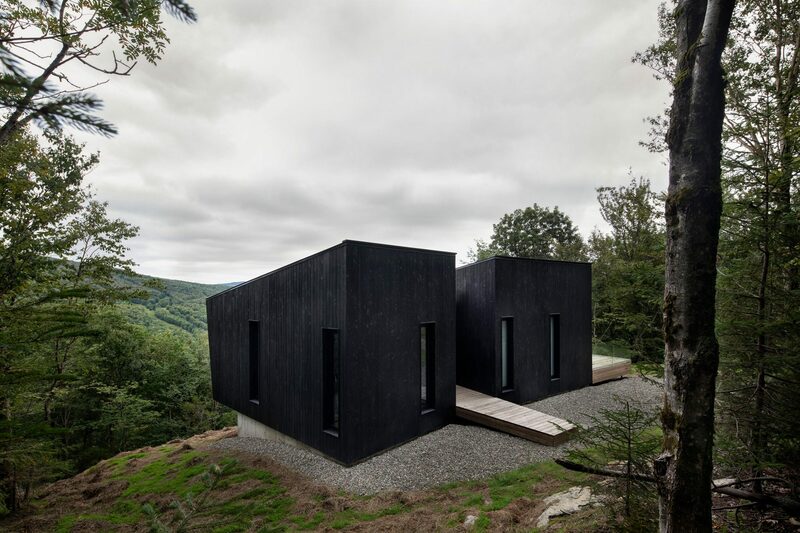 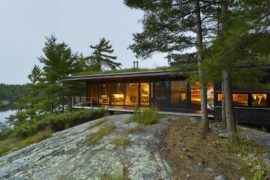 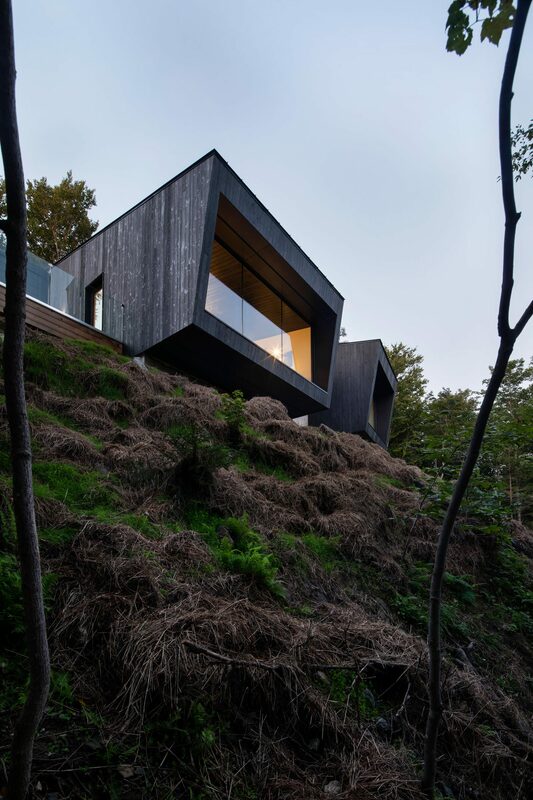 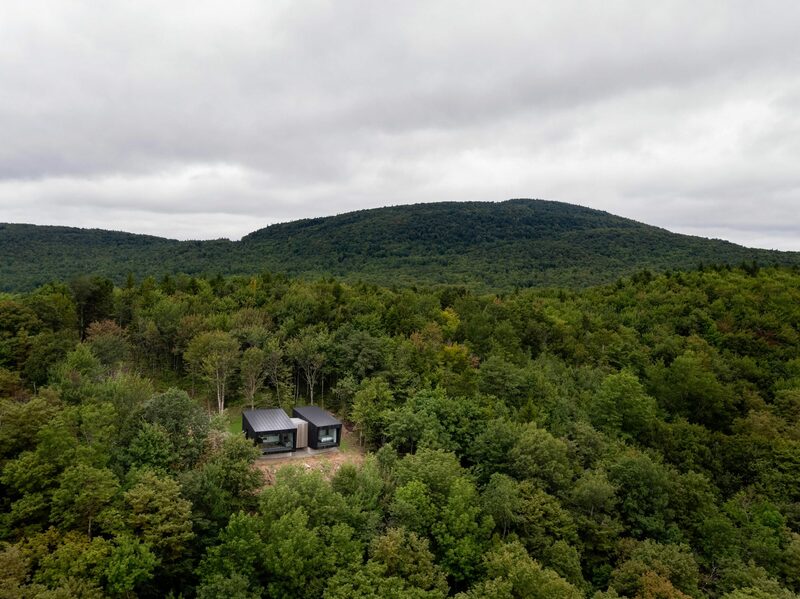 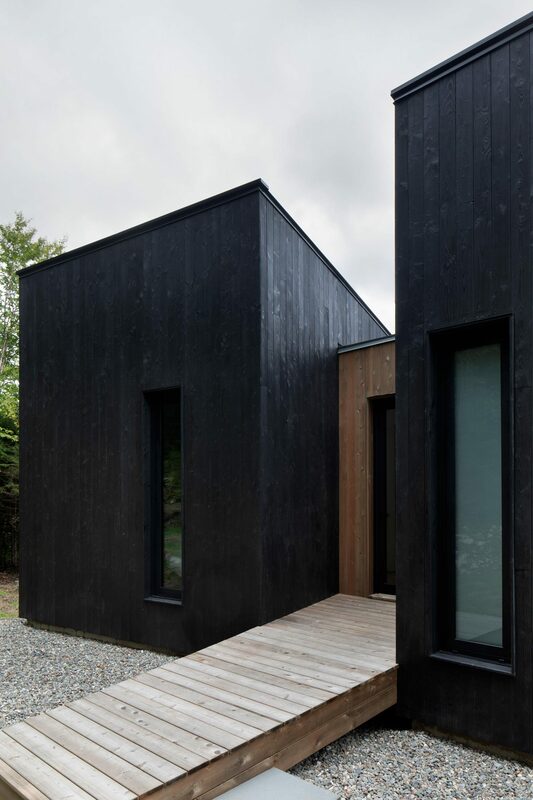 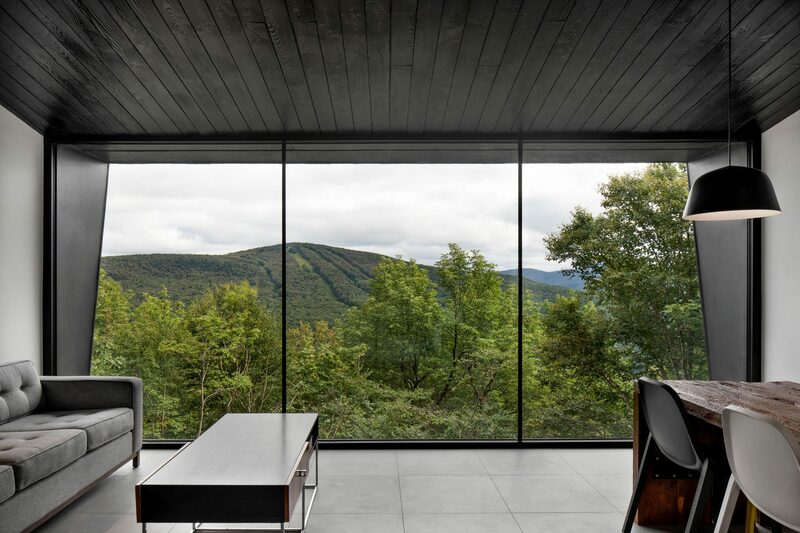 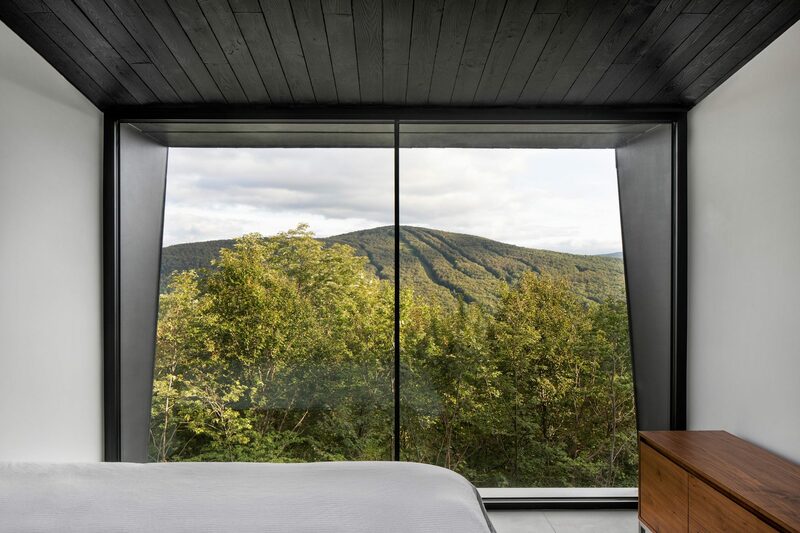 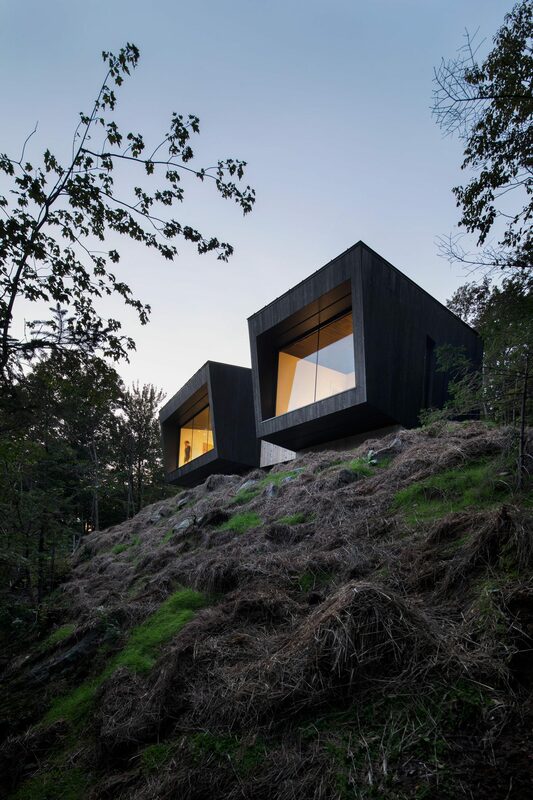 Designed by NatureHumaine, the Crowhill Cabin is a showstopper in every sense of the way. 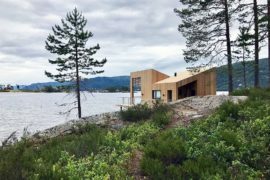 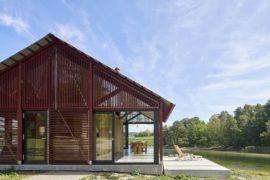 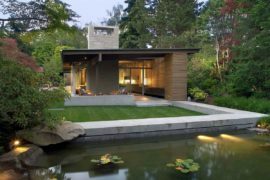 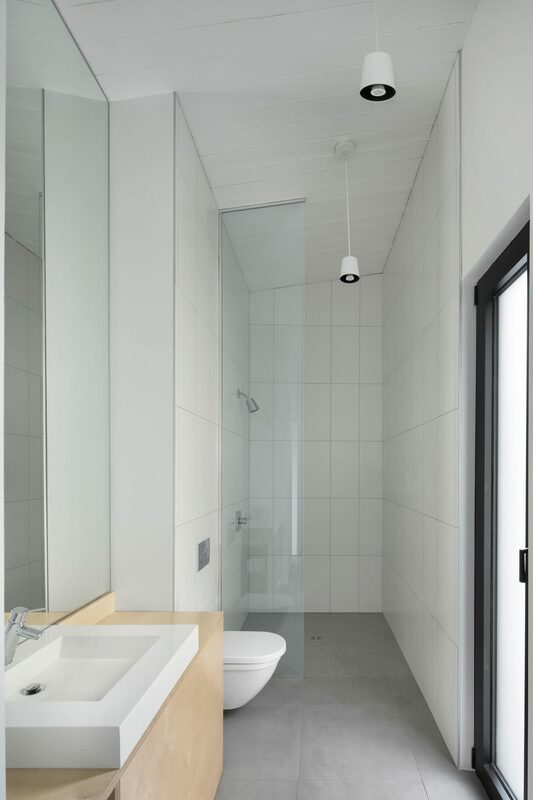 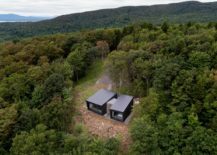 It is the dark and minimal exterior of the cabin that instantly stands out when placed in the gorgeous, green natural setting. 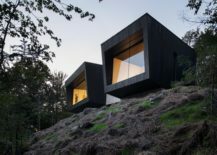 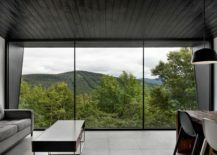 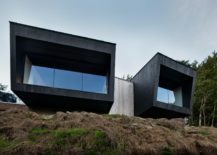 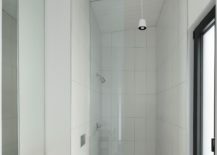 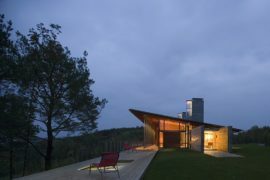 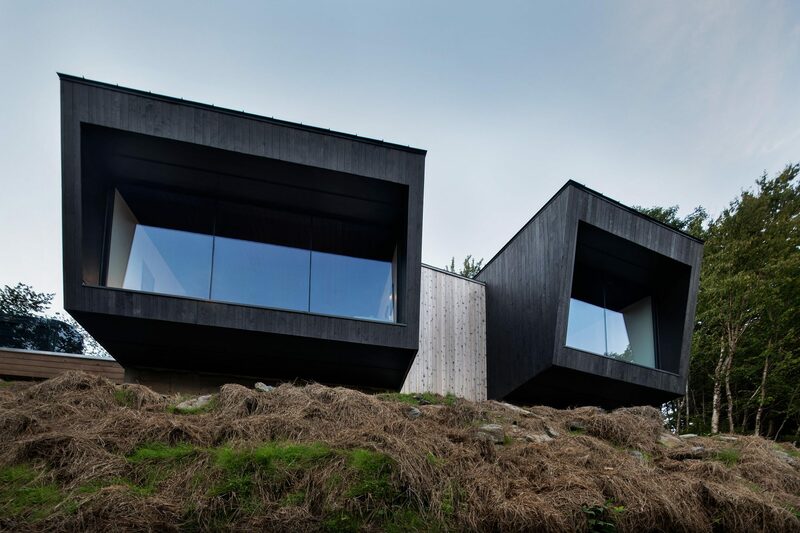 The project creates a home that sits on the edge of a sloping hill and with a ceiling that complements the gradient of the floor, you get the feeling that you are precariously perched on the edge as you look outside this magical escape.